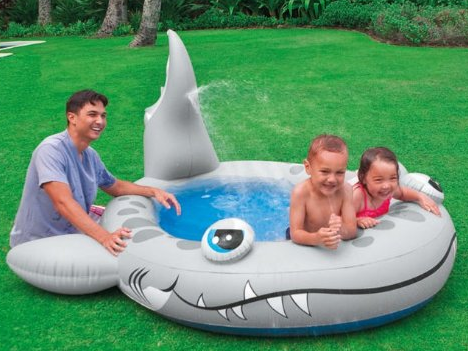 Sandy Shark Spray Pool Only $17.90 PLUS FREE Shipping! You are here: Home / Great Deals / Amazon Deals / Sandy Shark Spray Pool Only $17.90 PLUS FREE Shipping! Summer days mean you need a fun way to cool down and this Sandy Shark Spray Pool is Only $17.90 PLUS FREE Shipping! Perfect for cooling down when those temps rise! Get Yours NOW!